[0:00] <petn-randall> Raazeer: Nobody can stab you over the internet, you're safe. [0:01] <Raazeer> didn't we agree on a PUNCH-people-in-the-face-over-tcp-ip-device? [0:02] <petn-randall> Raazeer: We've got IP over Avian Carriers, I'm sure that's in the work, too. [0:02] <Raazeer> kids today. When I was young, we at most smashed each other's teeth in. Today it's knives and guns right from the start. [0:05] <Raazeer> mfa298, Yes, I've already noticed I've gotten myself into something there. [0:05] <Raazeer> first thing I noticed is that when you insall raspbian on it, you get the ras-pi packages installed which don't work with the hardware. [0:07] <Raazeer> Oh, I'm not ambitious. the basic idea was to get something with a somewhat more powerful chip, so I went for the M3. [0:08] <Raazeer> I also had my eye on the SATA connector, but it turns out the M3 is definitely a bad choice at that. [0:10] <mfa298> this is what you find with most of the other chinese boards, you either run an ancient kernel where some stuff works, or mainline where other stuff works. [0:13] <Raazeer> I'm kinda surprised to find it like that. I had the bpi down as one of the more established contenders. [0:24] <Raazeer> mfa298, ok, that's that weird thing where half the bpis come from one company and the other half comes from the other? [0:28] <Raazeer> ah I see. [0:30] <Raazeer> Ah, now I get it. You meant all the allwinner-based boards often have issues outdated or non-updated software. [0:41] <Raazeer> mfa298, doesn't the raspi have similar issues with the broadcom chips? [0:41] <Raazeer> not the lack of support, but the strange workarounds to boot it? [0:44] <Raazeer> clever, that sounds quite complicated. [0:47] <mfa298> Raazeer: the rpi has some isues with non free code in the bootloader, but there's actually support from the manufacturer to do as much as possible. [0:48] <clever> but you cant share the bootrom code, oh no!!! [0:50] <Raazeer> clever, I'll probably never dive _that_ deep into the boot process. [1:03] <Raazeer> boy, it seems there's a new rasPi clone coming out every week now. [1:03] <rafael_p> Read barcodes, store it and send through the network? [1:03] <Raazeer> how's a guy supposed to keep up? [1:08] <Raazeer> ok, gotta go. long day tomorrow. [4:31] <blocky> what does the dtoverlay directive do in config.txt? [6:16] <password8> what kernel does latest raspbian run? [7:51] <[Saint]> So, how are we all? [7:52] <[Saint]> Everyone's so quiet. [7:56] <[Saint]> I had a small implosion today as well. [7:57] <[Saint]> I sent out an image to my PXE boot server that had a bad kernel in it. [7:57] <[Saint]> Well, it was a "good" kernel, it just didn't have the wireless radio drivers compiled in. [7:57] <[Saint]> SO I fixed that, but one of them was still down. [7:58] <[Saint]> Then I realized one of the wifi dongles had decided to pick that moment to commit suicide. [7:58] <Crom> ooops... so you did get PXE working kewl! [7:59] <[Saint]> Yeah, I got wired PXE boot working pretty soon after the first announcement for it. [8:00] <[Saint]> But I think it's a little more easy and practical for me to use it, perhaps, because over time (about 4 months) I wired my whole house with multiple RJ45 junction points for every room with CAT6E interconnects in the walls. [8:00] <[Saint]> I imagine most people use wireless for everything these days. [8:02] <[Saint]> There are a lot of machines in my network that are wireless only, or dual eth/wifi, but if it is practical to use a wired connection and it won't look ugly doing so I generally will. [8:02] <[Saint]> That's the decider a lot of the time, if the placement will look ugly with a wire I can't hide, I'll go wireless. [8:03] <[Saint]> But every room in my house, including the bathroom, is wired with four standard raisl and two PoE rails. [8:04] <[Saint]> I went a bit nuts future proofing. [8:04] <ShadowJK> Do you atleast have them in piping? [8:05] <[Saint]> Yeah, of course. [8:05] <[Saint]> I did installs for home and small business networking and home theatre for the better part of 5 years. [8:05] <[Saint]> And, "conduit" is the word you're looking for. [8:06] <[Saint]> Yeah, neat. Pulling cable becomes second nature after a while. [8:08] <[Saint]> I talked to my landlord to see if she was fine with me doing it to the property, and she didn't care. She just basically said don't do anything that'll devalue the place. So I figured a dense home network wouldn't make much of a difference - so long as instructed by her I didn't put the junctions at any stupid or ugly places. [8:08] <[Saint]> Which I wasn't planning on anyway. So it was win-win. [8:09] <[Saint]> We've been here for almost 7 years now, so she knows we're not going anywhere and we look after the place. [8:09] <[Saint]> She even stopped flat inspactions after a while when she said that every time she went around there the yard (we were given permission to do our own landscaping) and the house was in better and better condition than she left it. [8:10] <[Saint]> I've been slowly doing odd DIY jobs and renovations, and the odd landscaping task here and there, for the whole time we've been here. [10:27] <shiftplusone> thecha: did you ask that at few days ago? [10:33] <shiftplusone> I seem to recall you saying that you don't know what has been done to the system. What's in config.txt? [10:35] <password4> thecha: using the latest raspbian? [10:43] <ali1234> why is /dev/urandom broken inside qemu now? [10:49] <shiftplusone> I am happy to help if we stick to a single problem. [10:50] <thecha> do you know what the internal woudl show as in the lsusb? [10:50] <thecha> shiftplusone→ which route do you think is the lsaet hassle? [10:50] <shiftplusone> neither of them should be any hassle, they should just work out of the box. [10:51] <password4> thecha: what does uname -r give you? [10:51] <thecha> where do you put the ip adresses ? [10:51] <thecha> and where do ou allow the passowrd log in? [10:54] <thecha> maybe I've been had? [10:54] <thecha> spoofed version? malware? [10:55] <thecha> emergency no wifi? [10:56] <thecha> how is that even possibly? [10:56] <thecha> newere version than the current release? [10:56] <thecha> should not the repositiories keep me in line with raspbian? [10:57] <thecha> so is this the root cause of the problem? [10:57] <thecha> that the kernel got ahead of its distro? [10:57] <thecha> can i command line back to the 4.4? [11:17] <bytefire> shiftplusone: i see..
[11:18] <bytefire> what kind of changes? is there a way to see the diffs? [11:19] <bytefire> is the code itself modified? [11:23] <shiftplusone> yes, there are some changes that make it not be terrible. [11:25] <thecha> what command allows me to see if the rpi recognizes theinternal wifi ? [12:32] <brainzap> anyone running android on raspbuurreeh? [13:10] <AshIndigo> Where's the fun in just buying a new one? [13:12] <password4> wheres the fun in spending $40-50 for no reason? [13:46] <decafmcafee> Has anyone ever... run an OVPN alongside a TOR proxy on the same box (but not VPN through TOR or vice versa)? [13:47] <decafmcafee> I guess I'd need two IPs or two NICS to make that work right? [13:54] <amigojapan_bnc> I am thinking of building RPI III with touchscreen and sellign them on something like ebay, but I was thinking if anything goes wrong with a component, the components are still under guarranty by RS componenets, but they are assembled, how can the end user get his component to RS components, I think he or I would need to dissasemble the device…. [13:56] <decafmcafee> Yea, depends on the policy of the forum you're selling on. [13:56] <decafmcafee> and the law, which overides company policy. [13:57] <decafmcafee> I'd contact the seller you're buying from too, they might have a clause of their own that will help / hinder you. [14:19] <amigojapan_bnc> teepee: why do I have to check it? [14:22] <inahd> so i got i pi zero yesterday, and a tinkerboard. i'm kind of regretting the decision. [14:24] <teepee> and regretting which board, both? [14:27] <bozza> can someone take a look at a schematic? There is an attiny85 that connects to the pi zero MOSI, MISO and SCK. But there is also an "AVR ICSP" that connects to those also. Are they in parallel? [14:30] <jancoow> Hi. Someone ever used Volumio ? [14:31] <bozza> teepee: so I guess it could be ignored if programmed via raspberry pi? [14:46] <bozza> It is some sort of card that can program the magnetic strip on the fly? [14:55] <XianZombie> I've got a question for anyone who uses/has used the "Multiboot Pi" setup - is there anyway to boot back to Noobs or whatever and remove one OS to replace it with another? [15:09] <bytefire> where does the bootloader of rpi3 reside? is it on sdcard? [15:14] <bozza> anyone here into their raspberry pi zero? [15:14] <bozza> or are you all more of the rpi3 type? [15:16] <bozza> is the pi3 that much faster? [15:16] <bytefire> ShorTie: is there any documentation about exact boot sequence on rpi - until it calls into the bootloader? [15:16] <jancoow> someone already tried google assistent? [15:20] <bozza> Why not try to stick it into liquid nitrogen and try to see how much you can OC it? [15:20] <bozza> has it been tried? [15:21] <aatish910> Any alternatives to minidlna that supports srt files? [15:23] <petn-randall> FOSS is always good, but good support is also important. [15:27] <k\o\w> absolutely, the years of feet dragging to "convince" broadcom to release more blob code, and the artificial scarcity and buying limits on pi has me very hopeful when any other competitor enters the market, RPi has great community support but the work of the foundation is a joke imo. [15:27] <aatish910> Do you guys use any video gallery generators? something that will generate static pages when a folder of videos is given to it. [15:28] <AshIndigo> you can be that board programmer! [15:29] <aatish910> If i don't find something like this by May 7, I am going to build one. [15:30] <aatish910> Minidlna worked great but I cannot make it discoverable behind a bridge. And, that bridge is a black box. No configuration possible on that bridge. [15:32] <aatish910> AshIndigo, https://github.com/dularion/streama is there. But it's too intensive and Java! [15:35] <jancoow> what's wrong with plex? [15:36] <XianZombie> oh I should have asked in this Window - Is there a reason to run Plex if you have Kodi? [15:37] <jancoow> syncronised playstates etc. 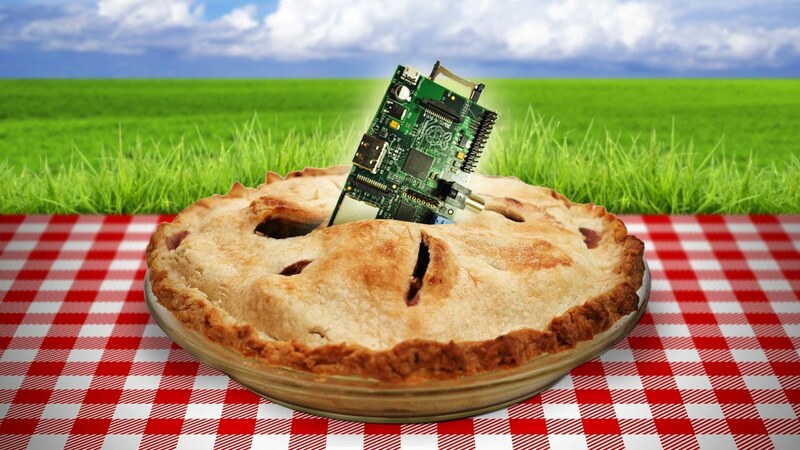 [15:38] <password4> the pi-zerow , both its usb ports have data? or is the one exclusively for powah? [15:38] <password4> or is only one otg? [15:41] <aatish910> Can RPI run Plex Server? [15:42] <aatish910> i think this video gallery generator will be useful: give it a folder of videos -> it will generate static htmls with embedded JWplayer or Flowplayer, and use Nginx RTMP to stream. [15:55] <Eduard_Munteanu> Hi. Should chrony work out of the box on Raspbian without an RTC? [15:55] <Eduard_Munteanu> I'm concerned it might not be able to set the initial time fast enough. [15:57] <IT_Sean> .... fast enough for what? [15:58] <Eduard_Munteanu> IT_Sean, fast enough to handle SSL connections a minute after it started. [15:59] <Eduard_Munteanu> Oh, ok. I remember I used to tweak ntpd quite heavily to allow large corrections on startup. [16:00] <Eduard_Munteanu> Oh, ok, so I guess I need to tweak the config a bit after all. [16:01] <Eduard_Munteanu> Thanks, I'll try. [16:24] <arve> anyone getting frequent network issues with the last kernel update in jessie? [16:29] <bozza> who has pie? [18:52] <password8> firstly , is the rpi1-3 the same pinouts? [18:53] <IT_Sean> password8: please mind your language. The channel rules are posted in the topic line for your review. [19:21] <password8> can i use it to set pwm from terminal? [19:22] <password8> or do i need to make an c++ app? [19:33] <password8> where is the manual? [19:37] <brainzap> does raspbian expose the pin on /sys/class/gpio/ ? [19:40] <proditaki> u hooked it to a scope? [19:40] <password8> would gpio readall show it as pwm or out? [19:42] <gordonDrogon> password8, pin 17 does not support pwm. [19:42] <TheSilentLink> AshIndigo: I get an error our partition layout is not currently supported by this ││ tool. You are probably using NOOBS, in which case your ││ root filesystem is already expanded anyway. [19:42] <gordonDrogon> password8, and 'readall' will show it as ALT0 when in PWM mode. [19:43] <gordonDrogon> password8, yes, you said. [19:43] <gordonDrogon> bcm_17 is not a PWM pin. [19:43] <proditaki> isnt that 18? [19:43] <gordonDrogon> you need bcm_gpio pin 18, wiringPi pin 1 or physical pin 12. [19:44] <TheSilentLink> anyone know how to fix it? [19:44] <proditaki> how big is the partition now? [19:45] <proditaki> TheSilentLink: and theres free space behind your 8 gb partition? [19:45] <password8> do i need to start the pwm? [19:46] <gordonDrogon> password8, does not compute. you just set the pin mode to pwm and it's there. [19:46] <TheSilentLink> proditaki: how do I check? [19:46] <gordonDrogon> password8, what are you using PWM for? [19:48] <password8> default freq like 300kHz? [19:48] <TheSilentLink> proditaki: I can't? [19:50] <password8> wait , is the rpis pwm a fixed frequecy? [19:50] <proditaki> password8: sarent you supposed to craete it yourself? [19:51] <password8> create what myself? [19:52] <proditaki> what library is it? [19:58] <maicod> hi I'm searching for 3d Print models for printing a case for the Pi 3B. I know Pi 2B has the same form factor but does the 1B+ (model B+) also have that same form factor ? [20:32] <ShorTie> where they in the last place you looked for them ?? [20:33] <password8> why would i continue searching after i found them? [20:34] <ShorTie> for the fun maybe ?? [20:43] <password8> wiring pi is meant to be used in c++ as a lib , right? [20:50] <password8> here , the parameteer int pin , is that the wPi pin number http://wiringpi.com/reference/core-functions/ ? [20:51] <gordonDrogon> password8, wiringPi is written in C. It can be directly used in C/C++ and BASIC. [20:51] <gordonDrogon> password8, and it sounds like you need to read the fine manuals. [20:52] <gordonDrogon> password8, the pin parameter is whatever you want it to be - wiringPi pins, bcm_gpio pins or physical pins. [20:55] <password8> may i ask why 4 different functions to initialize instead of a single one with a parameter? [20:57] <gordonDrogon> that's the way it is. [20:58] <gordonDrogon> it started with wiringPiSetup() - if I added parameters to it, then peoples code would break. [21:12] <gordonDrogon> another wrapper for wiringPi? [21:16] <g105b> (I've even tried my own SIM that I use all the time on 3G from a phone). Does anyone have any help debugging my issue? [21:24] <gordonDrogon> good luck :) I'm off to the bakery. back later. [21:33] <Travis> Is there anyone here, who might be able to tell me how to connect to my VNC server, while using my bouncer address? [21:41] <leitmedium> Travis: did you configure your router to allow access to the pi? [21:42] <leitmedium> Travis: so you have opened a port on your router and forwarded it to your pi? [21:43] <leitmedium> Travis: so what does not work? [21:45] <Travis> Hang on, let me log in via my hotspot and try that. [21:46] <Travis> I think I know the problem. [21:50] <Travis> Time to test this theory. [21:53] <Travis> the port needs forwarded. [21:54] <lopta> From the Internet to a Pi? [22:03] <Travis> I can start the VNC server over my pi, but cannot access it via the viewer. [22:04] <Travis> Can I still use the VNC viewer for that? [22:06] <leftyfb> Travis: can I ask why you think you need to remotely VNC into your pi over the internet? [22:07] <Travis> I am toying with an idea for this weekend. I want to use the Pi's desktop remotely, as a logger. [22:07] <leftyfb> Travis: care you go into more detail? A logger? Why do you need a GUI desktop for logging? [22:08] <Travis> The log file is a Word document. [22:09] <Travis> forget it. I will just use a laptop. [22:09] <leftyfb> you have some automated process 'logging' to a word document on a pi? [22:11] <Travis> Nevermind. I am dropping the issue where it sits. [22:12] <mrkramps> Travis, like a report for each "incident"? [22:12] <leftyfb> Travis: why not log to a mobile device using some sort of sync'ing service that will sync with the pi? Like google docs, or dropbox or owncloud? [22:12] <Travis> and open myself up for more junk? Forget that. [22:13] <Travis> I don't like Google for much more than a search engine. [22:13] <mrkramps> maybe antiword might help? [22:14] <mrkramps> or are these newer version word docx? [22:14] <brianx> Travis: please see the language guide. swear words hidden by **** are not acceptable in here. [22:14] <Travis> I will leave. It appears I have offended someone. Thank you for your time. [22:20] <lopta> In the past I have tunnelled VNC through ssh, if that helps. [22:21] <lopta> Oh, he's gone. [22:21] * lopta hugs VNC anyway. [22:21] <brianx> :-) vnc is quite useful. [22:23] <lopta> leftyfb: Depends what their end goal is. [22:24] <lopta> ...and in my experience VNC is more performant than X over a WAN link. [22:24] <brianx> most of the time. [22:25] <brianx> leftyfb: i think they were trying to paste something into an msoffice document opened in libreoffice or openoffice. [22:27] <lopta> leftyfb: It does for me. [22:27] <brianx> that depends on the flavor. some vnc flavors do paste. [22:28] <lopta> I think it's an option, depending on the server and viewer used. [22:29] <brianx> leftyfb: yeah, seems a stretch to me too. [22:29] <lopta> Nice to have the option though. [22:30] <brianx> might be an office environment where they keep certain records in ms office and this person is trying to get a little linux in the door. [22:31] <brianx> can you insert data into 365 from linux? [22:32] <lopta> I'd rather run the native apps. [22:32] <leftyfb> "rather run the native apps" != " keep certain records in ms office"
[22:33] <brianx> leftyfb: cool, good to know. if linux can do it, i can't imagine it can't be installed on raspbian. [22:40] <brianx> ahh, through a browser. guess that makes sense. [22:40] <lopta> leftyfb: I meant for the tablet or phone use case. That said, we mostly use the Google apps for that stuff now. [22:41] <lopta> ...but I've heard that Microsoft's apps for Android and iOS are sometimes better than their Windows counterparts. [22:41] <lopta> leftyfb: We try not to use that. [22:42] <lopta> Thankfully I don't have to log to anything that odd. [22:42] <lopta> syslog or plain text files, mostly. [22:44] <mrkramps> log to plain text and convert to docx periodically? [22:45] <brianx> when i was with sears.com, i rewrote their hourly report to be generated as html under linux and management told me to stop using it, that i had to generate it in excel and export the part they needed via outlook (which ends up reformatting as html before sending) because i was doing something differently from everyone else and they couldn't follow it. [22:45] <lopta> brianx: I'm glad I don't work there. [22:45] <brianx> lopta: i'm glad i don't either. [22:45] <lopta> Here I could even run a Linux desktop if I wanted. [22:46] <brianx> 11 months of hell. [22:46] <brianx> yeah, there i automated bunches of things and it was always a crapshoot if management would embrace it with open arms or threaten to fire me over it. [22:48] <lopta> leftyfb: My daughter has a Linux box, if that counts. [23:00] <brianx> sears.com runs linux on a lot of their back end, but ms on the desktop. [23:01] <brianx> they're so badly managed though. it's no wonder they're closing stores. [23:01] <brianx> sears.com. the 150 year old retailer. [23:01] <blocky> yeah what do you mean by sears "on the desktop"
[23:02] <brianx> i wrote "ms on the desktop." [23:02] <blocky> you work there and they provide ms workstations? [23:02] <brianx> i worked there. not anymore. [23:02] <blocky> anyone know how /boot/config.txt is parsed? [23:02] <brianx> when there i was required to use microsoft as my desktop os. [23:03] <blocky> is there source available for that? [23:03] <brianx> the github for raspbian has source. [23:04] <brianx> there are parts that run on the gpu and may read the file too and that's closed source. [23:05] <brianx> lol, my internet is down, i can't. [23:06] <blocky> i think it might be closed-source? [23:08] <oq> brianx: which os? [23:09] <blocky> "Bear in mind that this is all work in progress, and it’s not capable of booting Linux right now"
[23:09] <brianx> oq: trying to automate the switch to wlan0: as default route whenever it comes up. 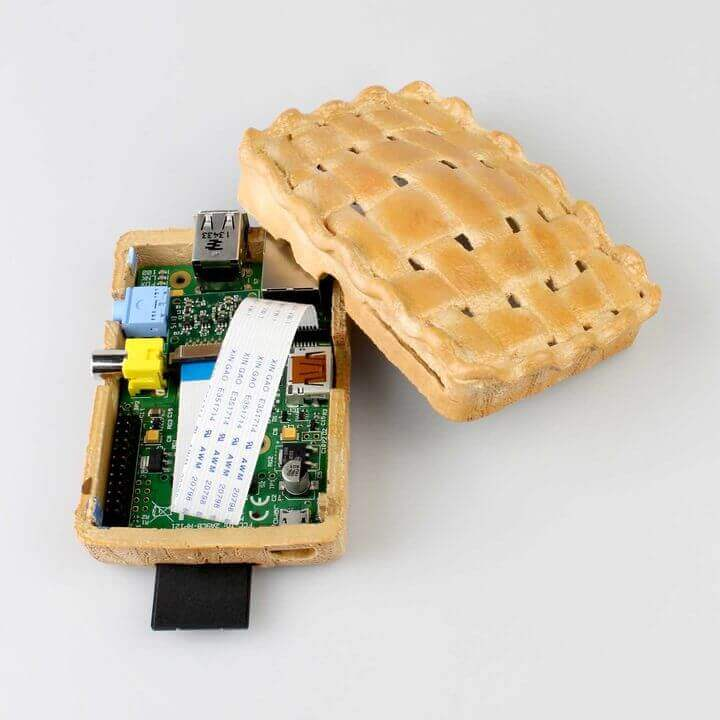 [23:09] <leftyfb> "This repository contains pre-compiled binaries of the current Raspberry Pi kernel and modules, userspace libraries, and bootloader/GPU firmware." [23:11] <leftyfb> kernel and modules, userspace libraries, and bootloader/GPU firmware." [23:12] <brianx> i thought there were multiple stages and only the gpu code was closed. [23:13] <EvilDMP> Validating file 2.h2w ... 269736/ 0/ 0/ 0 - NOT fully read due to "Resource busy"
[23:15] <brianx> blocky: there are docs for compiling the kernel. you can even patch the kernel before compiling. [23:18] <brianx> sounds like a plan. [23:25] <brianx> does anyone know how to get my wlan0: to have a lower metric than my eth0: ? when wlan0: comes up, i want it to be the default route even when eth0: thinks it's up. this is to lat my wife activate the hotspot on her phone as a backup connection to the internet. eth0: usually stays up when internet connectivity goes out. [23:27] <brianx> both wlan0: and eth0: are dhcp, so adding a new route with the lower metric and deleting the old route with the higher metric doesn't work because /etc/network/interfaces doesn't know the ip. [23:27] <leftyfb> brianx: so you use a pi as your home router? [23:28] <brianx> leftyfb: yeah, just temporarily. [23:28] <brianx> i'm doing repairs on the old house before selling it, so we have two homes for a bit. [23:29] <ShorTie> have you tried using like wicd-cursers ?? [23:30] <brianx> no, it's using the default wireless setup on a 3b. [23:31] <brianx> yes, that's why i want to change the metric. [23:32] <brianx> wired is getting 202 and wireless is getting 303. [23:34] <brianx> ShorTie: will that support dhcp and a lower metric? this isn't static. [23:37] <brianx> ok. the route metric is the only issue. /etc/wpa_supplicant/wpa_supplicant.conf gets the rest of the config just fine. [23:51] <Condor> Where can I find the LCD drivers for a 3.2" display?